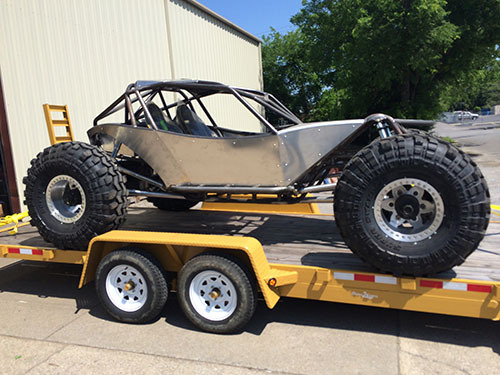 Mike Harper came to us with a large pile of unique parts and asked us to put it all together for him in one of our chassis. 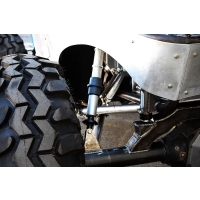 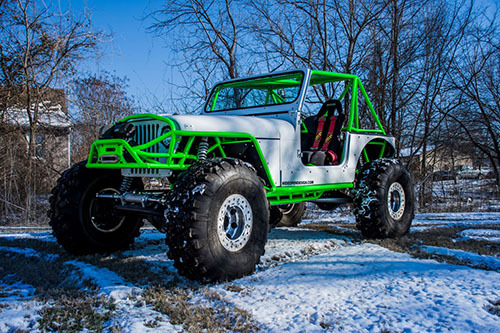 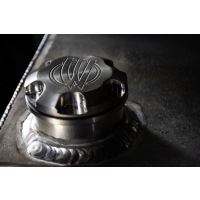 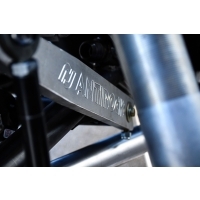 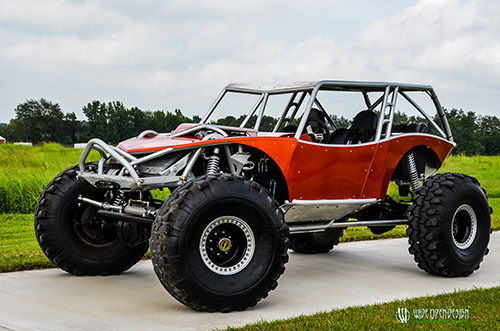 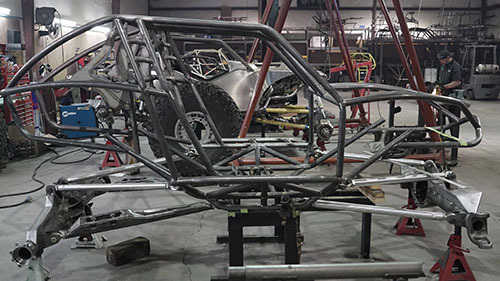 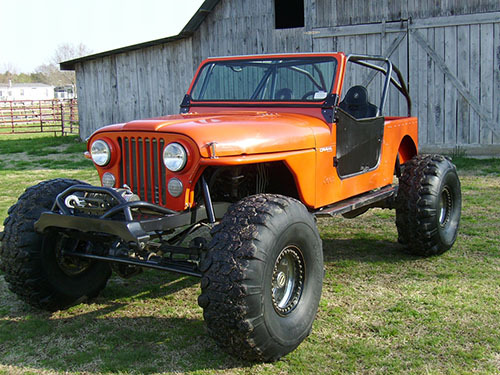 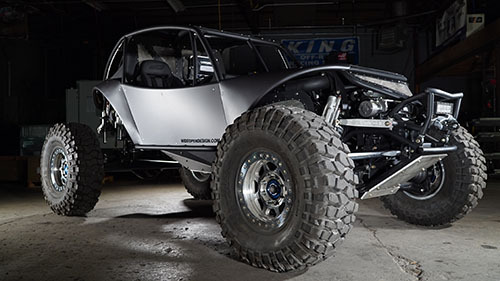 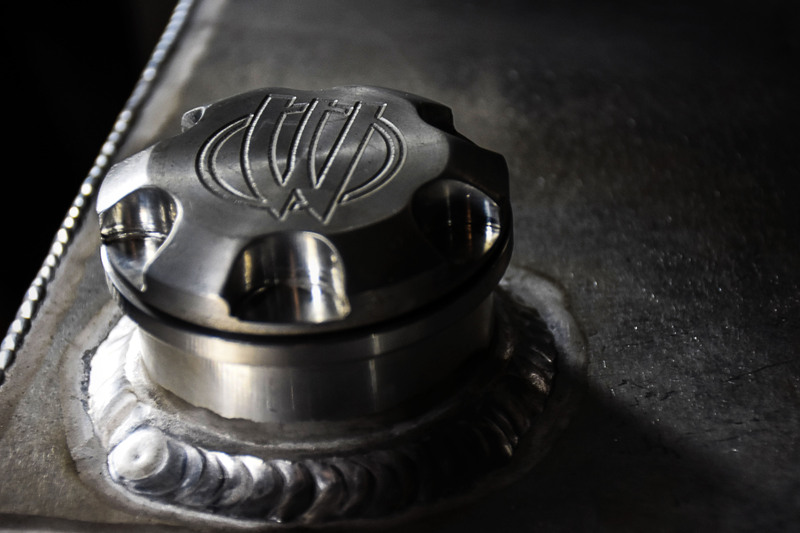 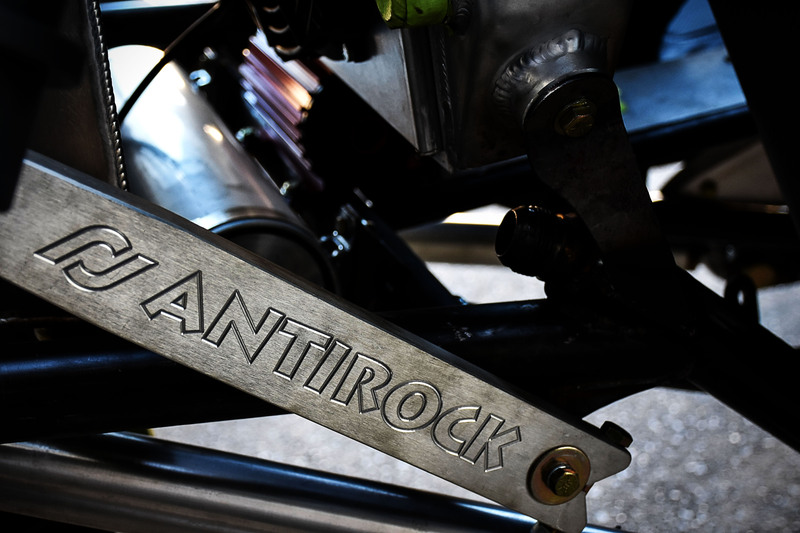 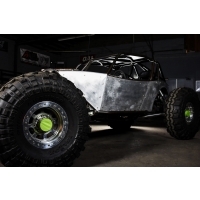 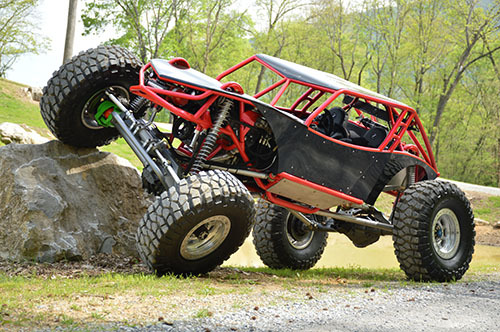 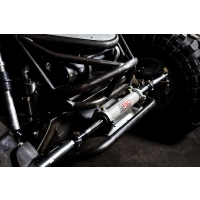 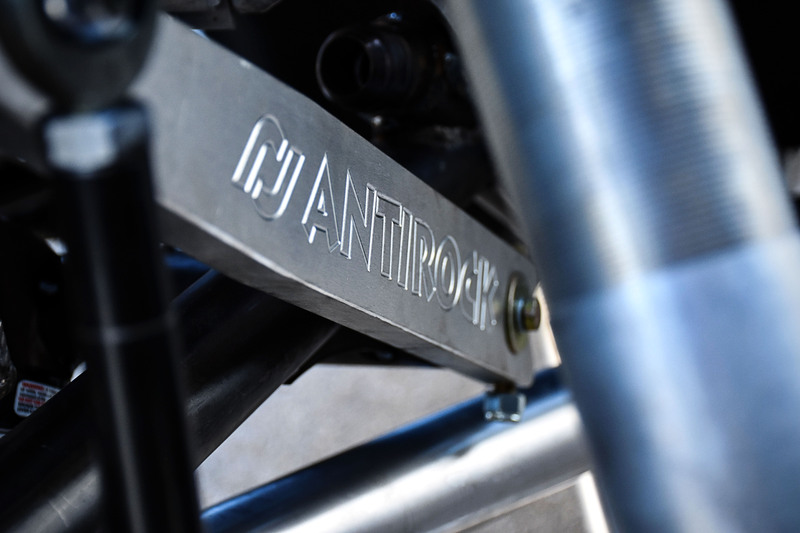 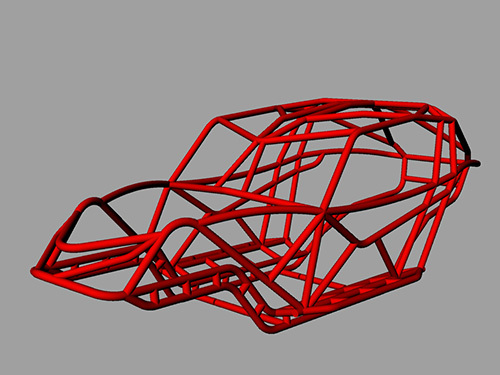 He was undecided at first on exactly what chassis he wanted to build, but when he sat in our Rock Bouncer chassis he knew he had found the one. 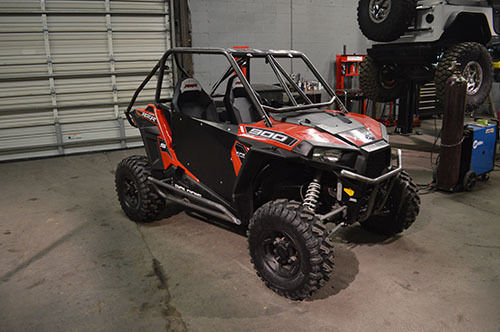 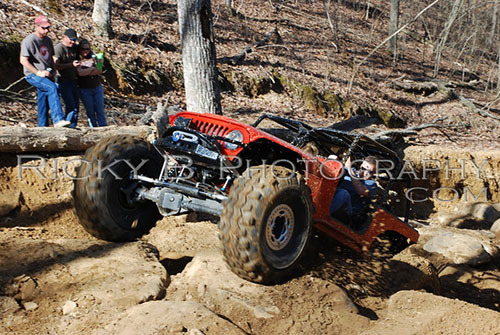 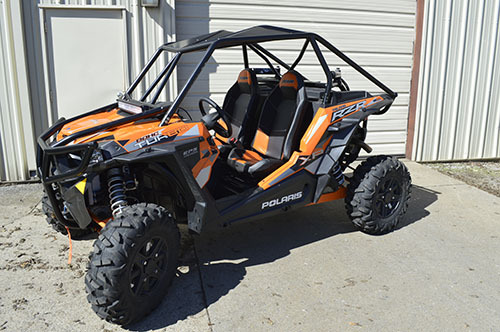 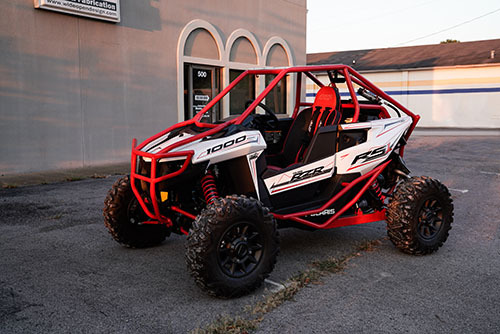 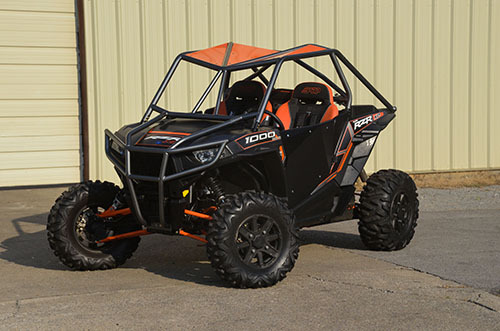 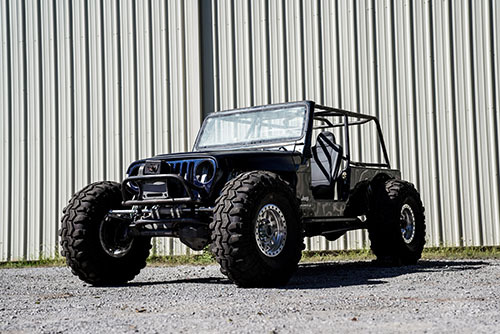 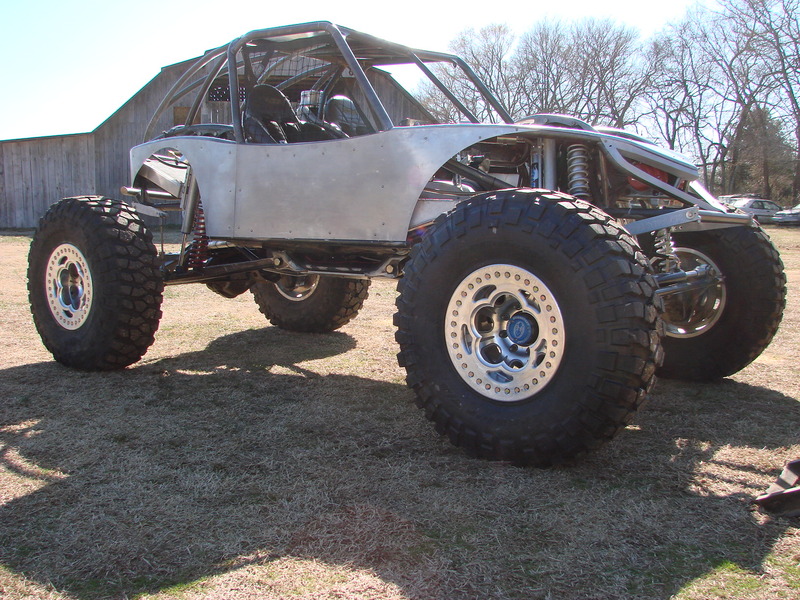 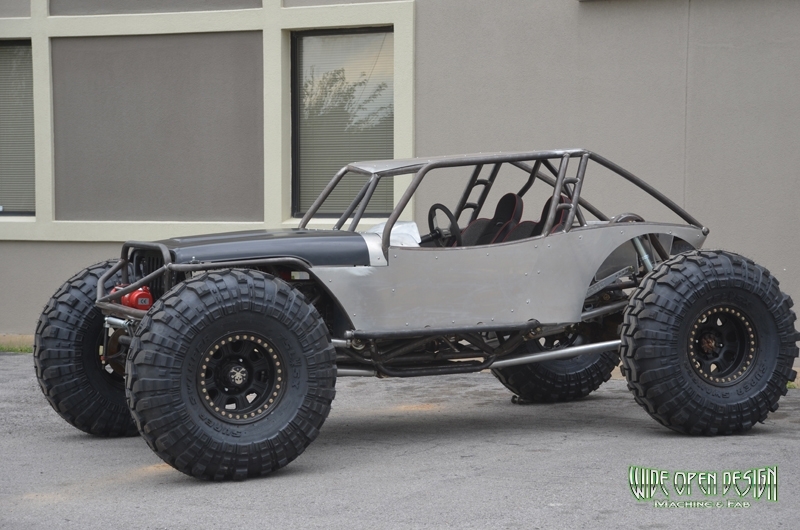 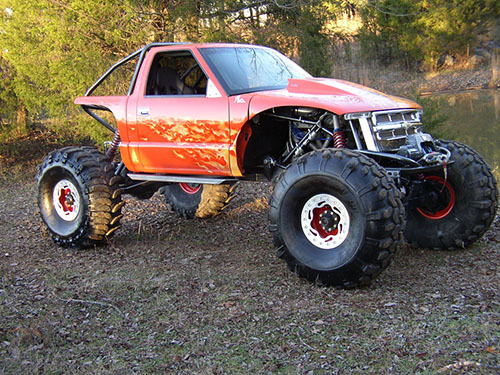 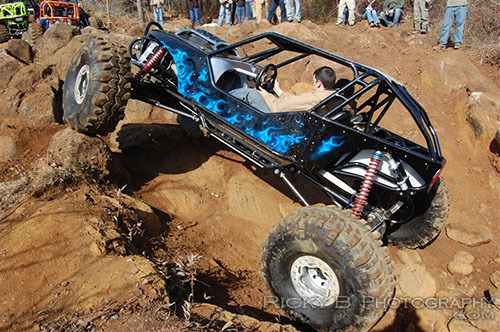 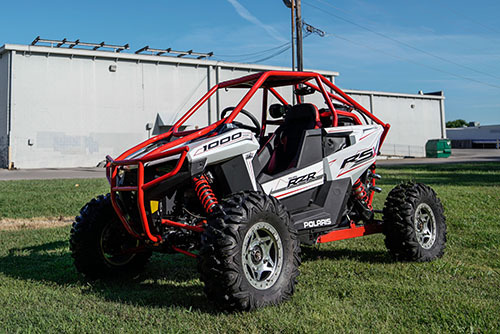 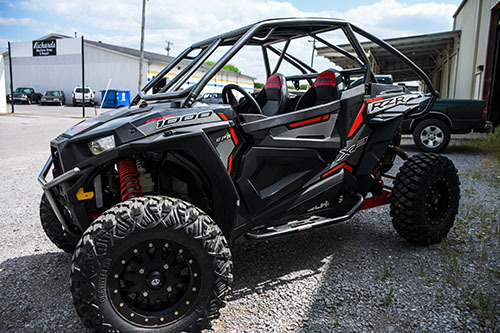 Mike wants a buggy that can trail ride all day and go to the extreme side of hill killing if he wants to. 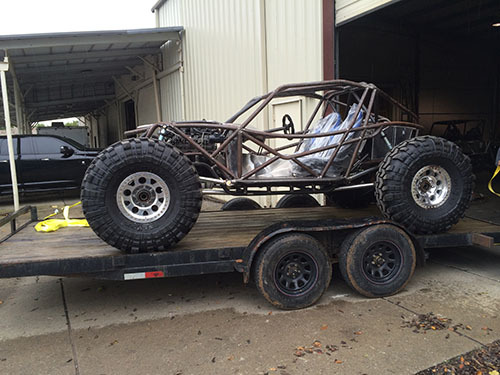 We built a buggy that will handle both. 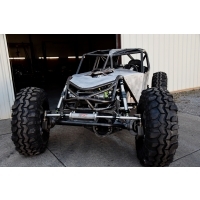 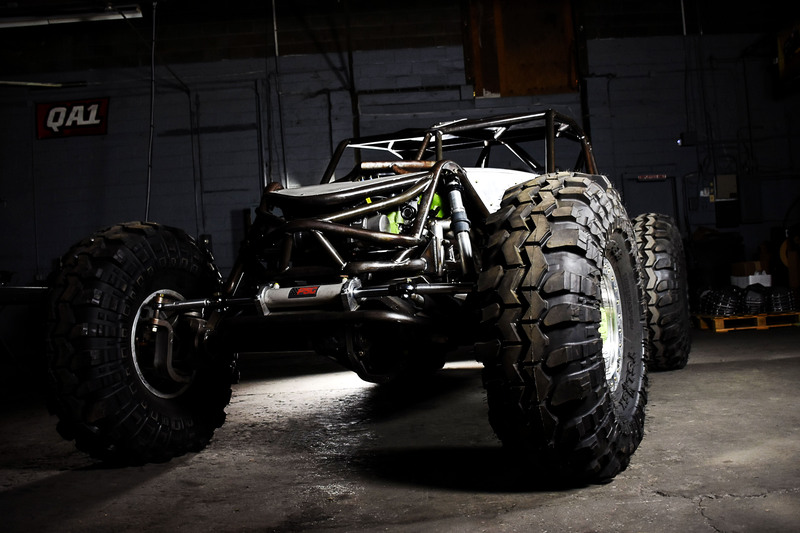 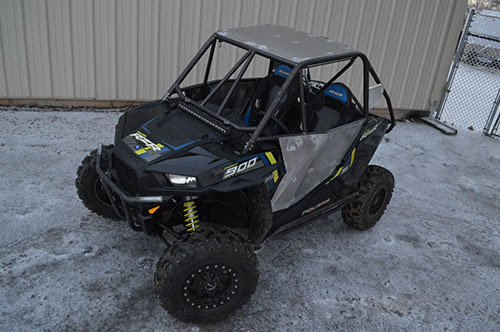 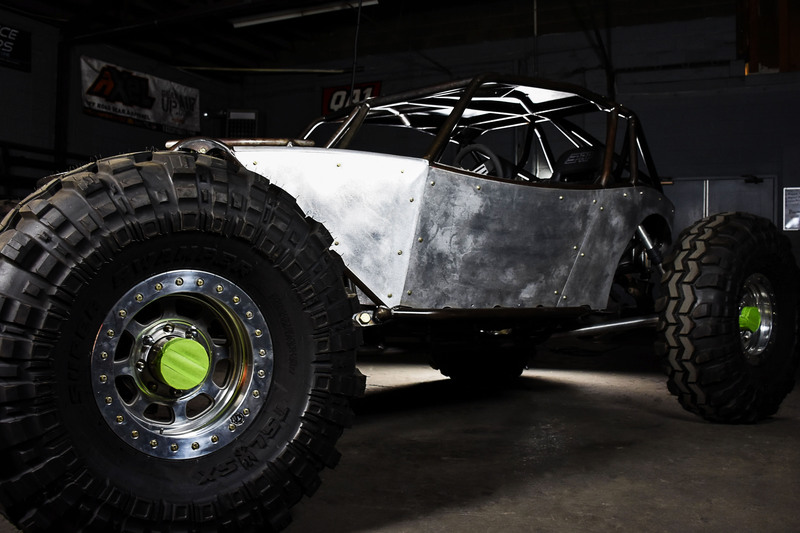 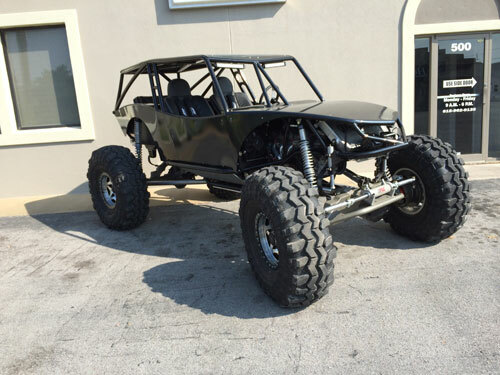 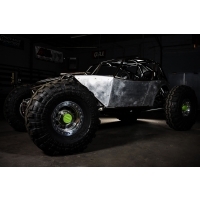 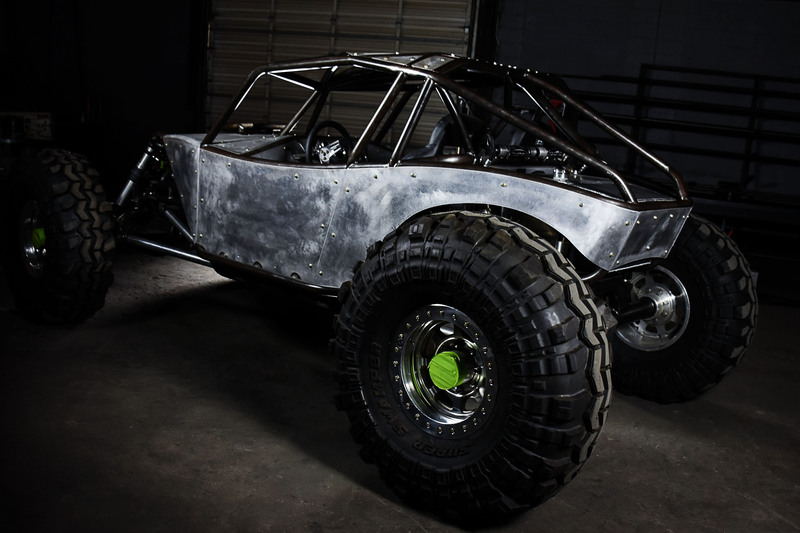 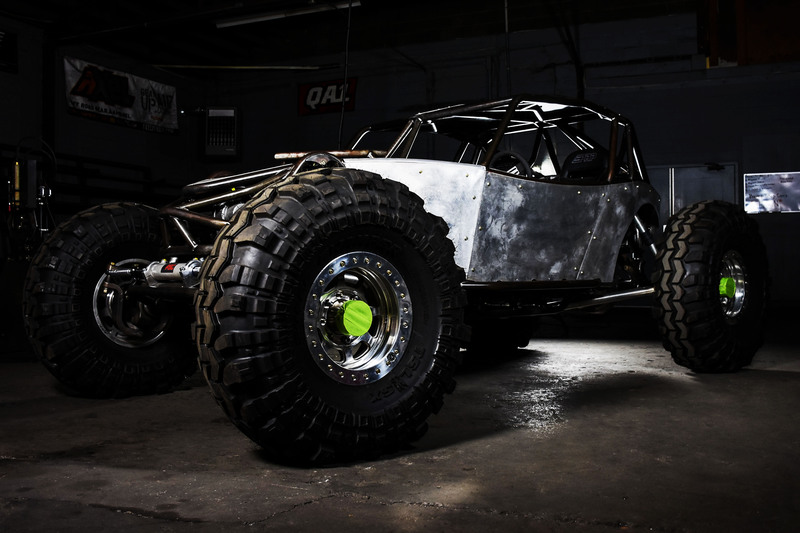 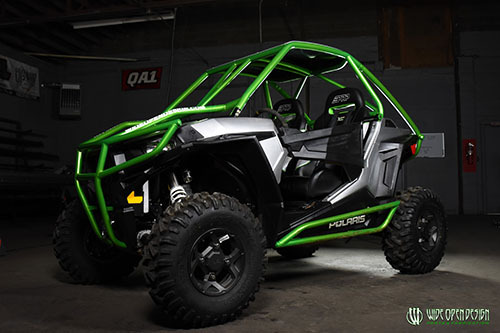 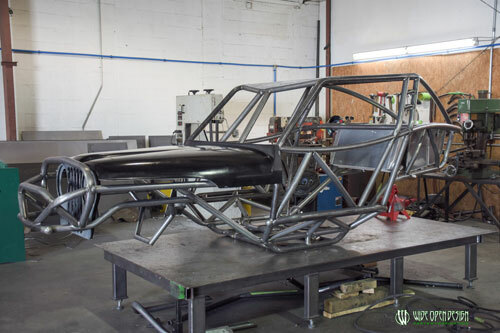 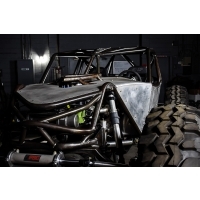 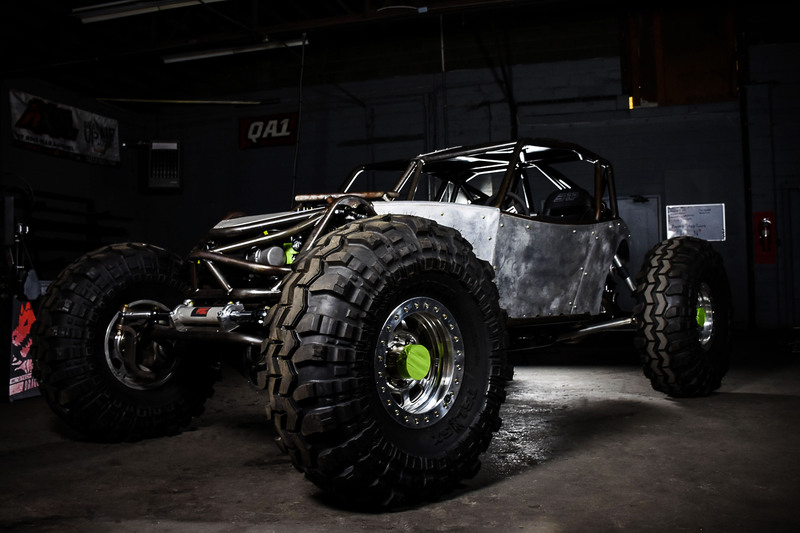 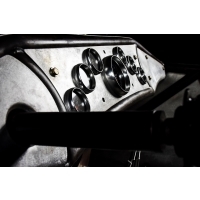 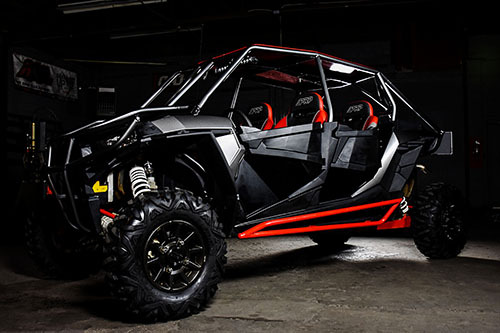 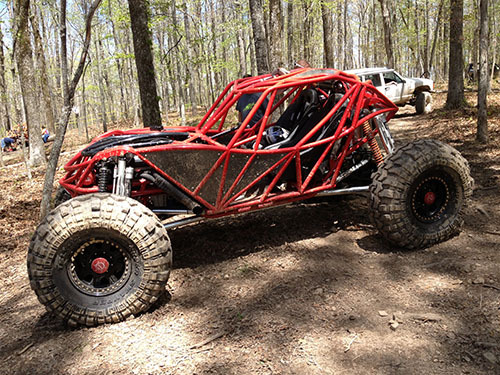 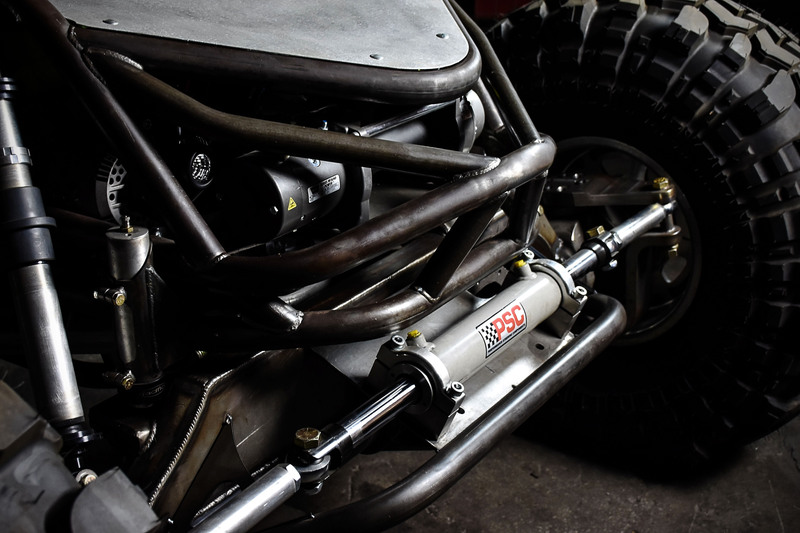 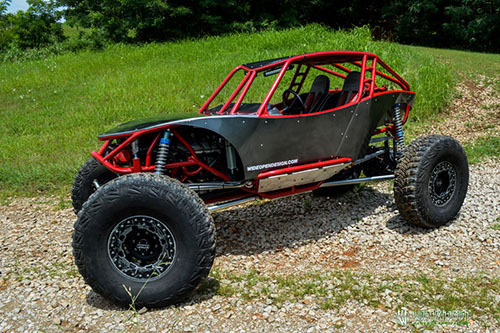 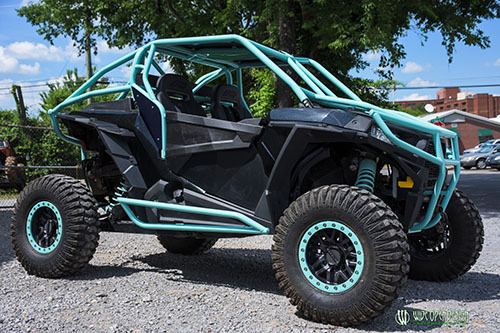 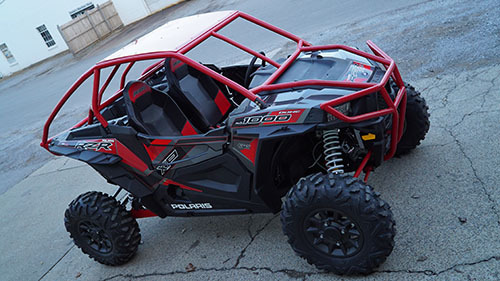 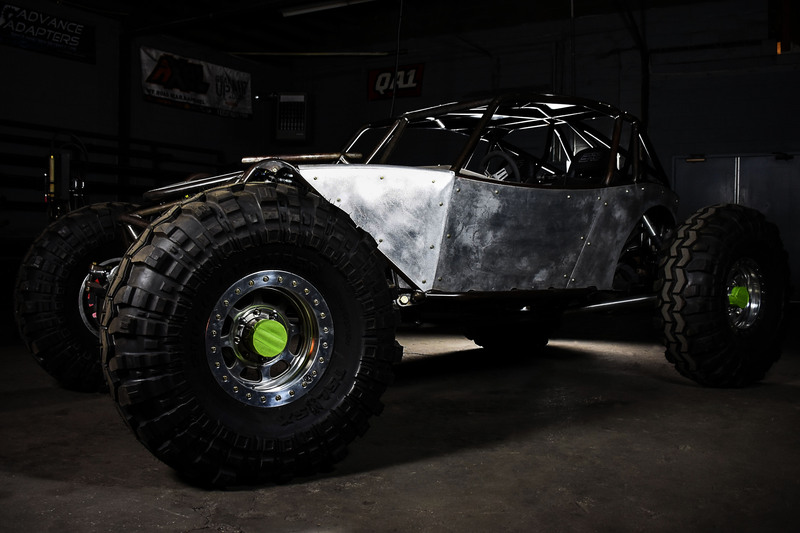 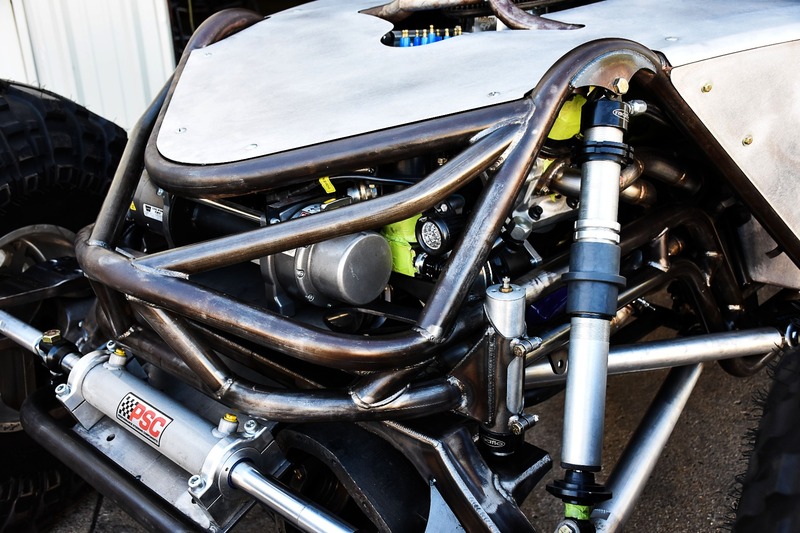 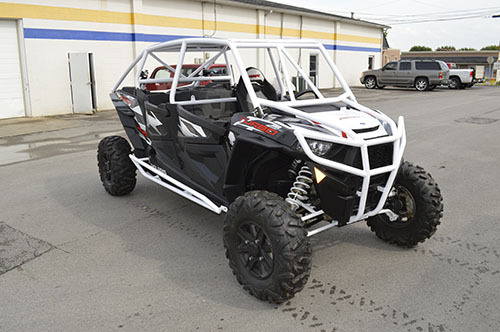 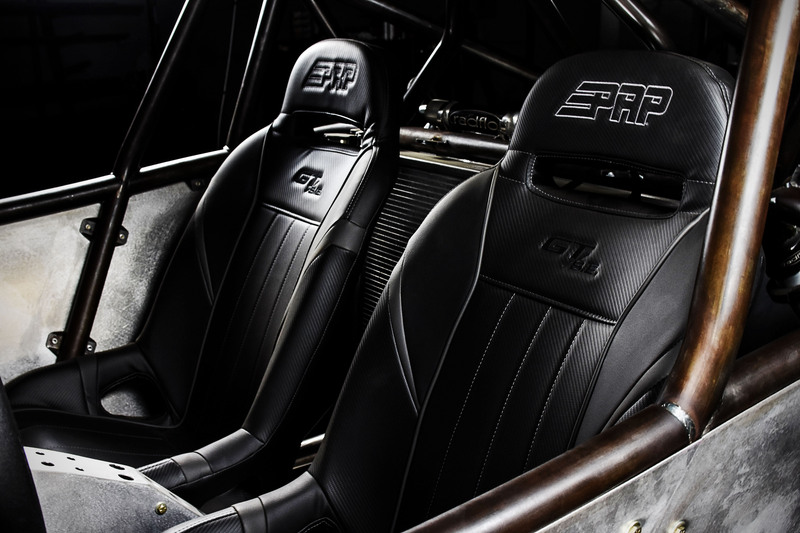 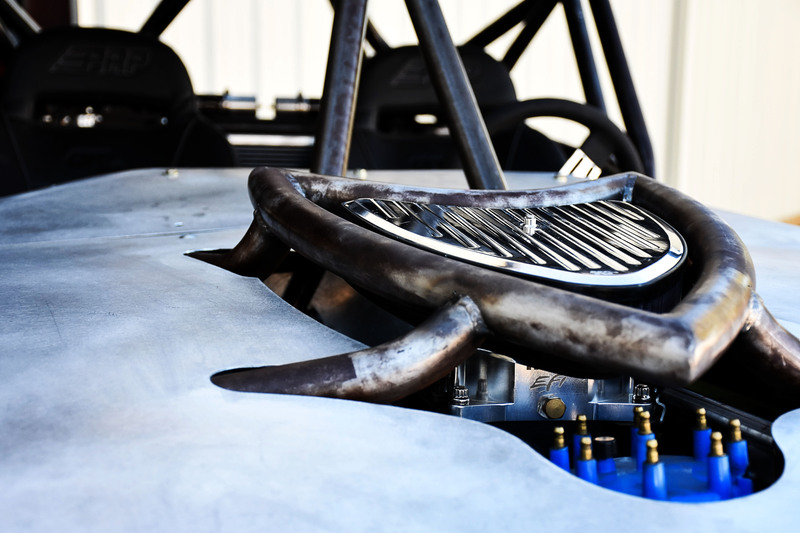 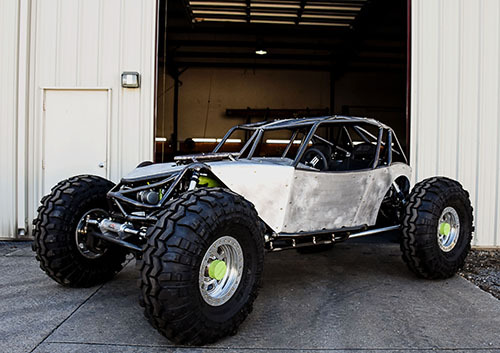 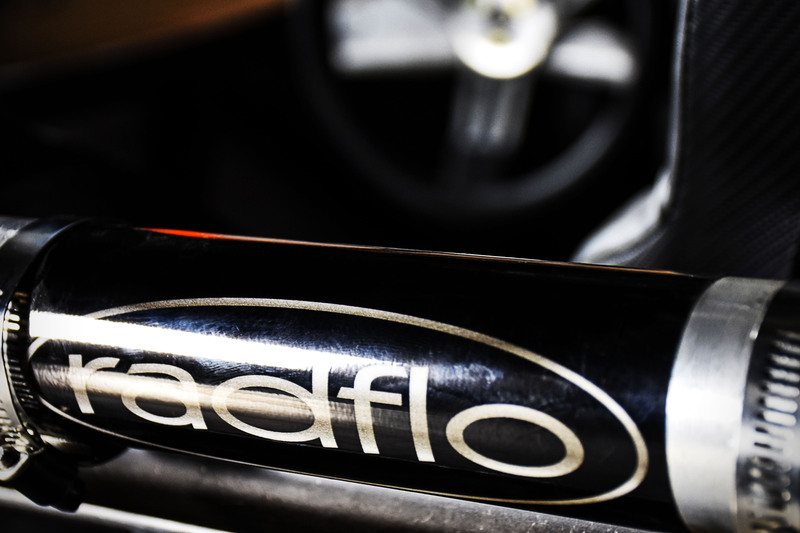 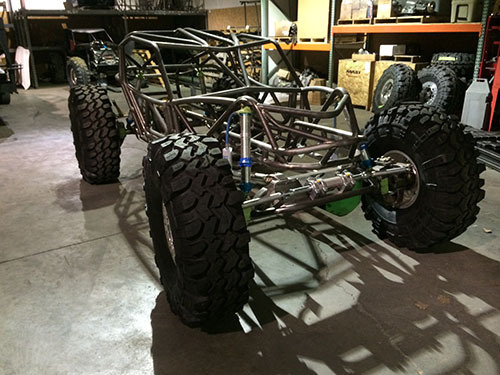 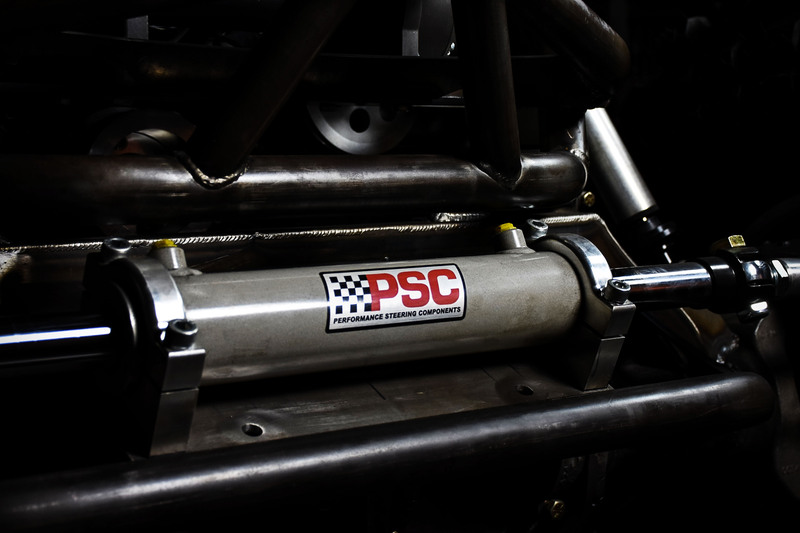 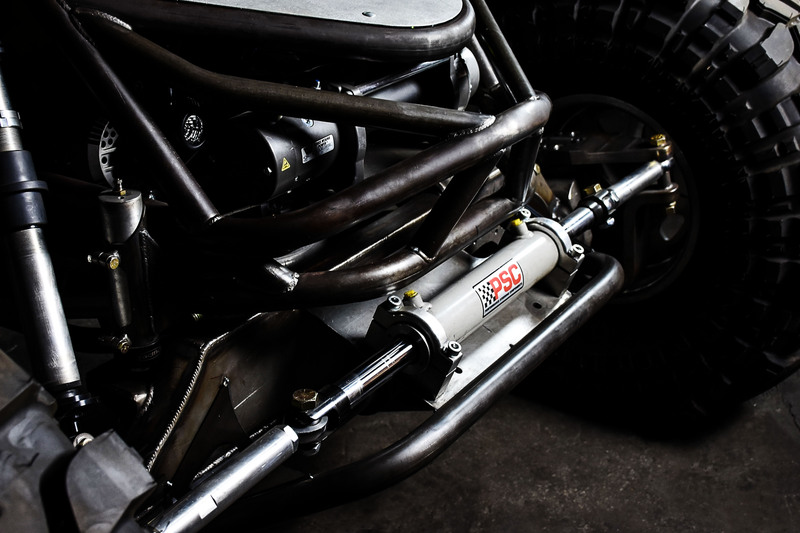 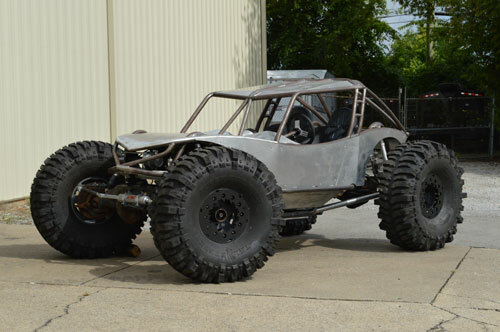 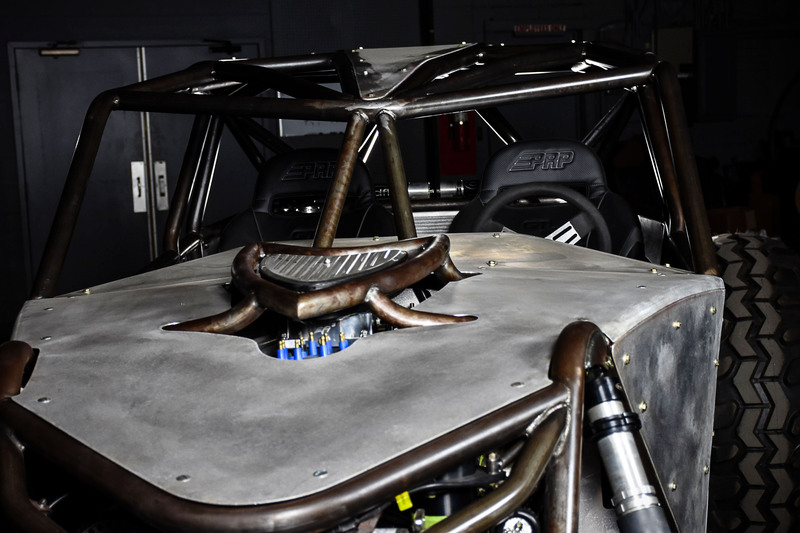 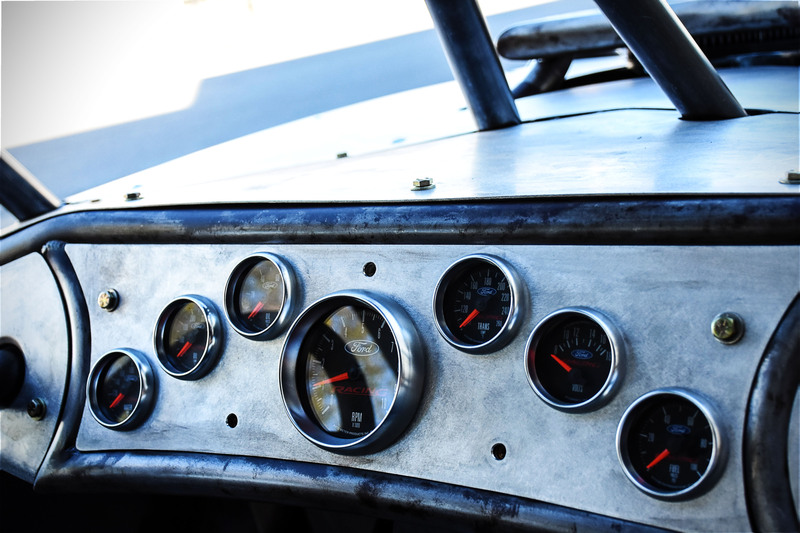 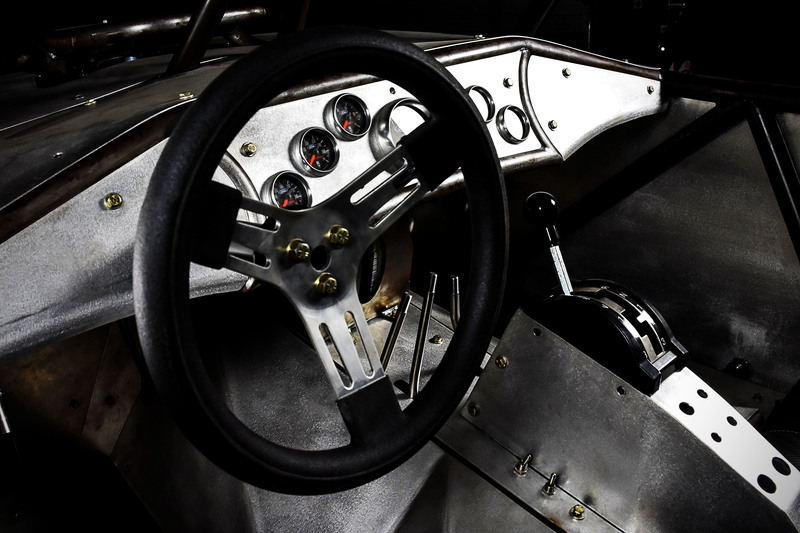 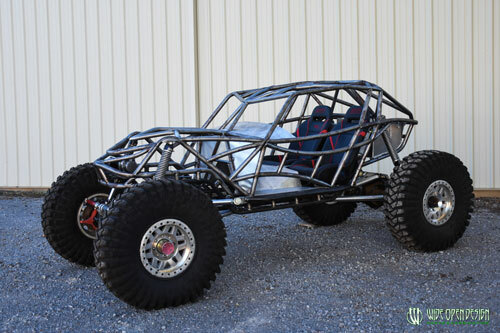 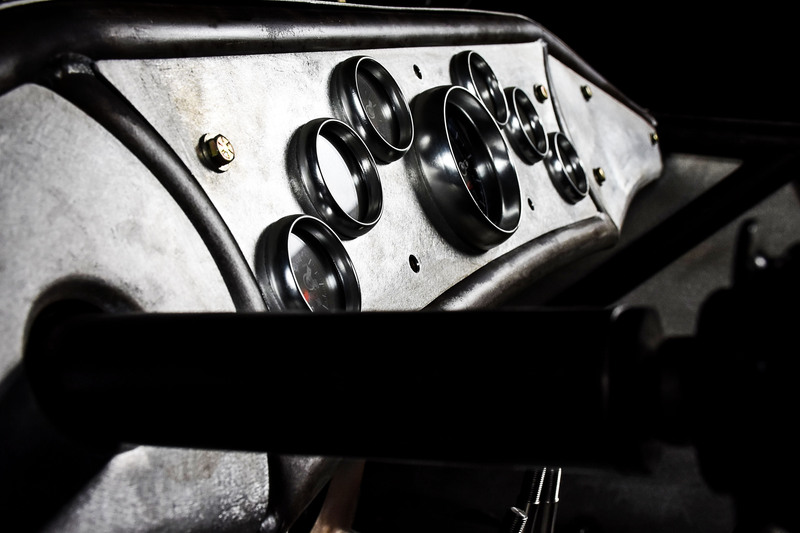 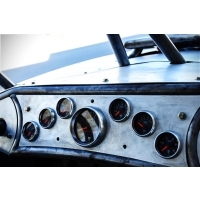 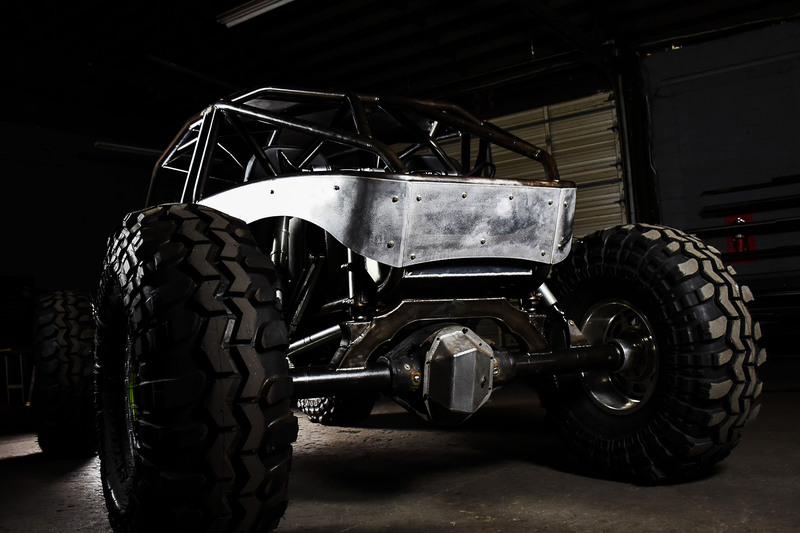 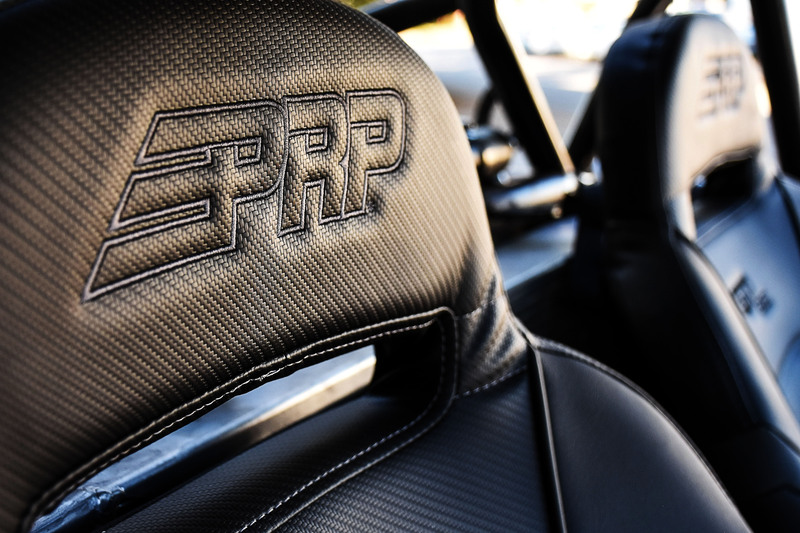 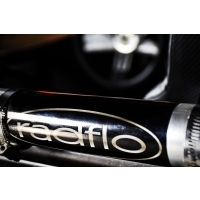 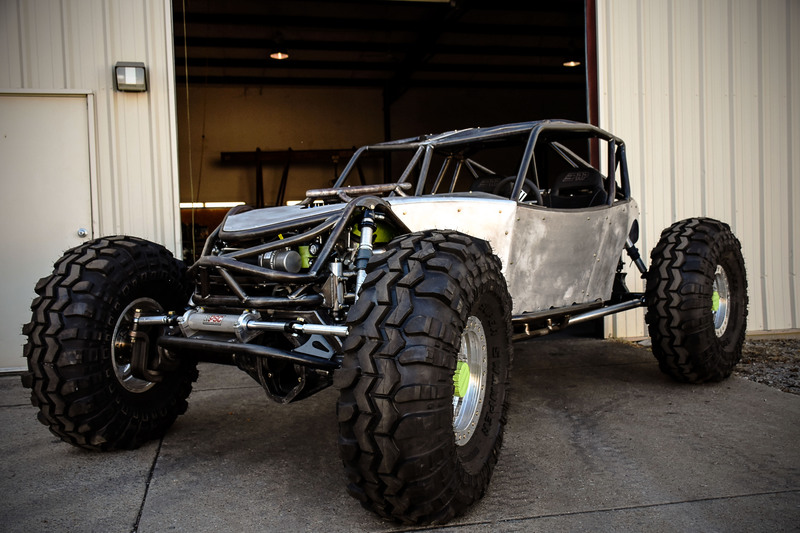 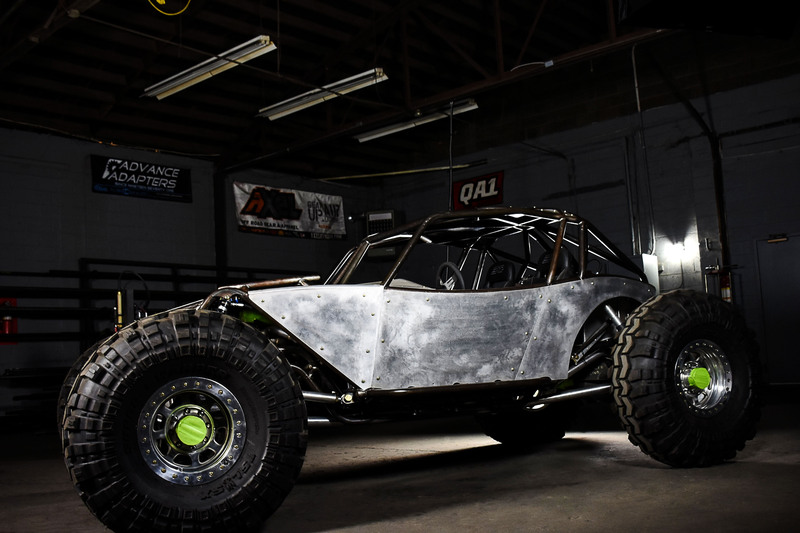 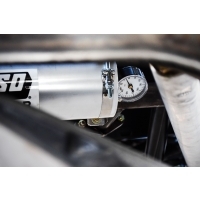 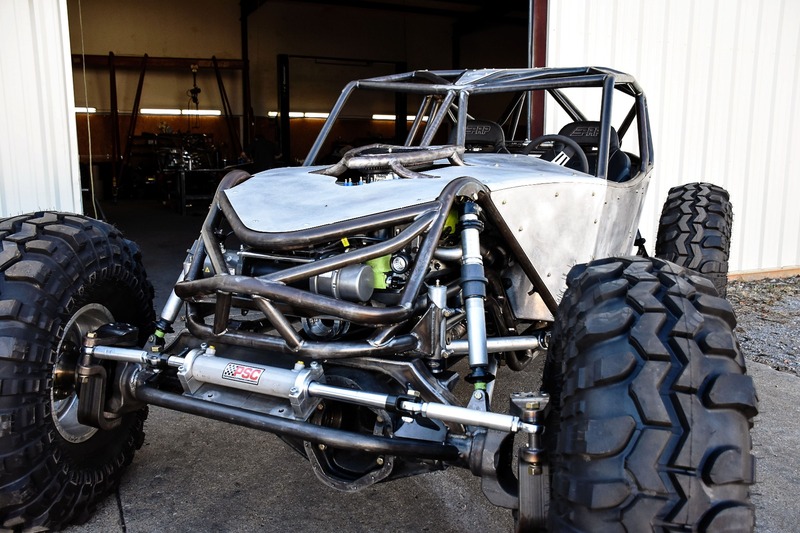 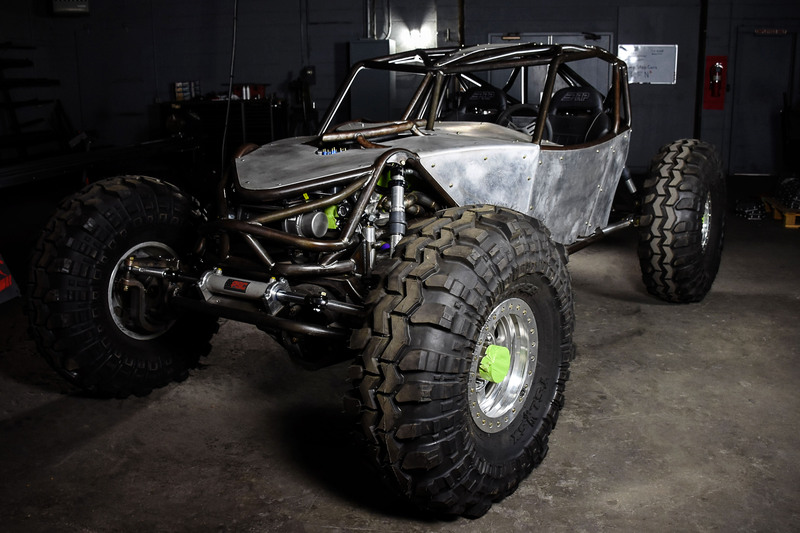 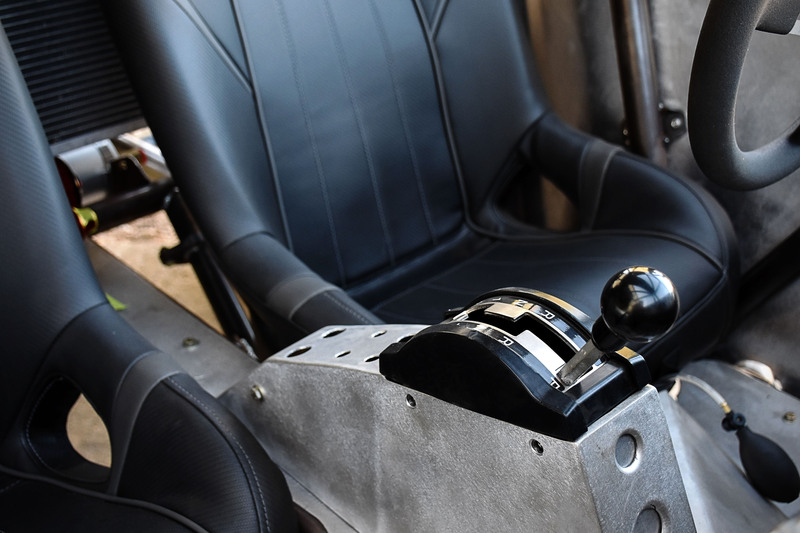 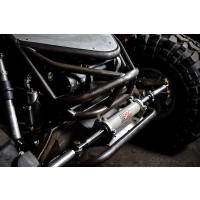 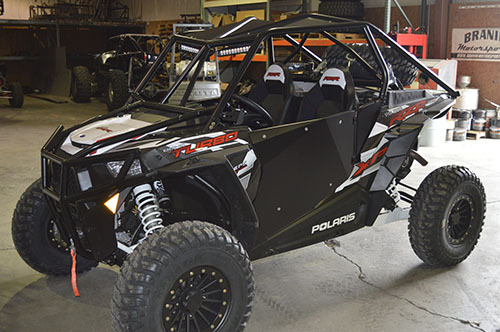 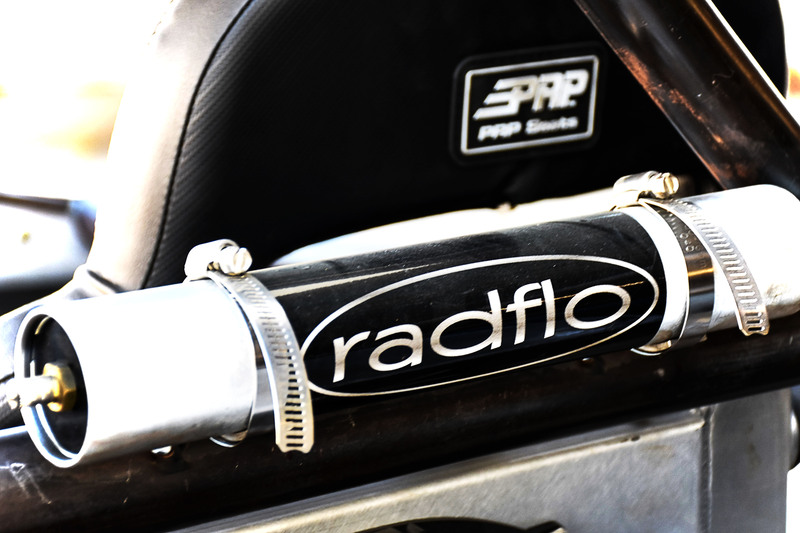 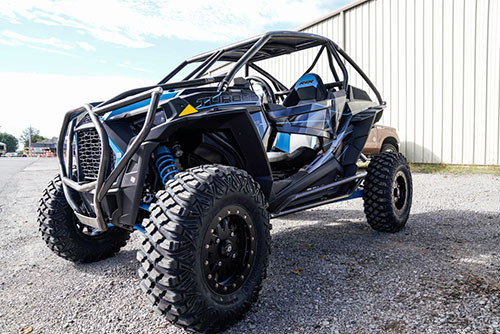 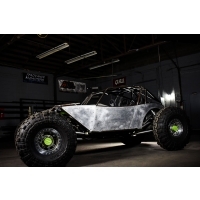 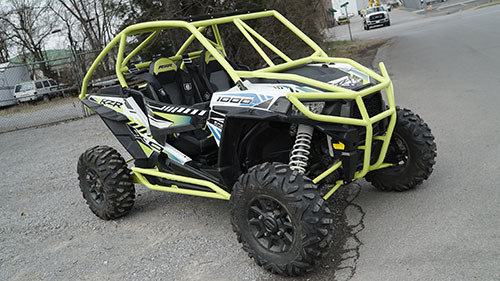 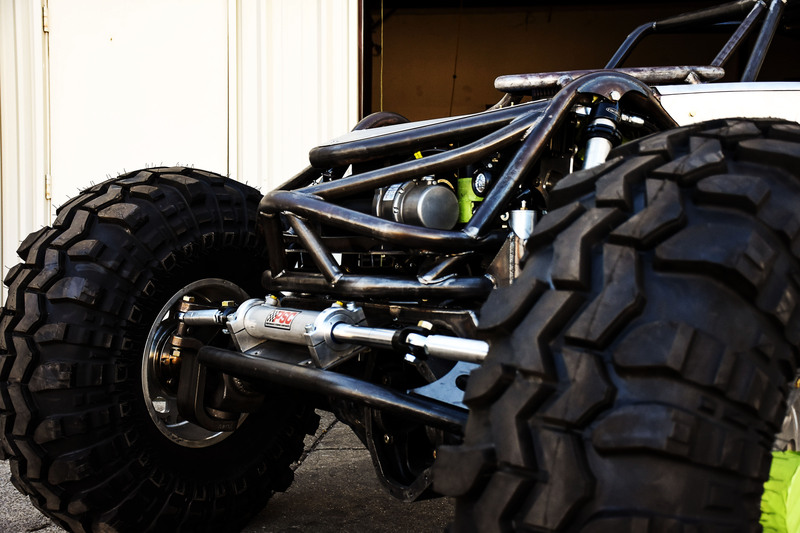 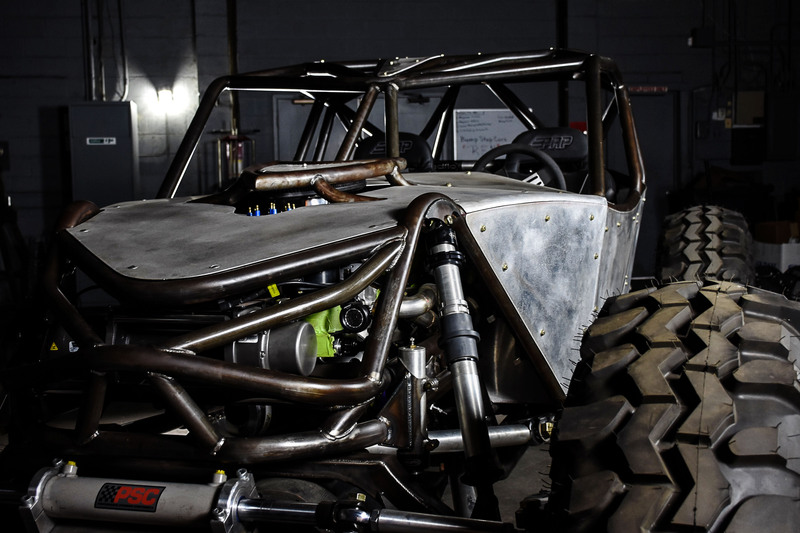 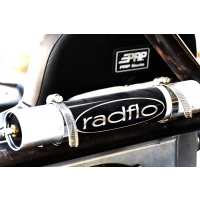 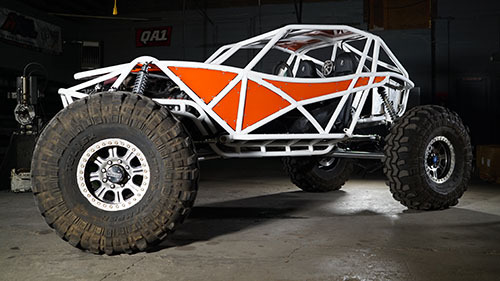 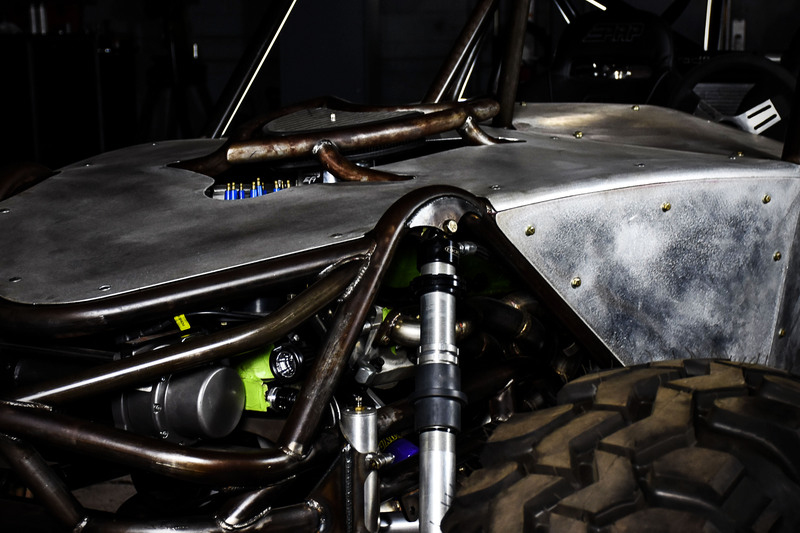 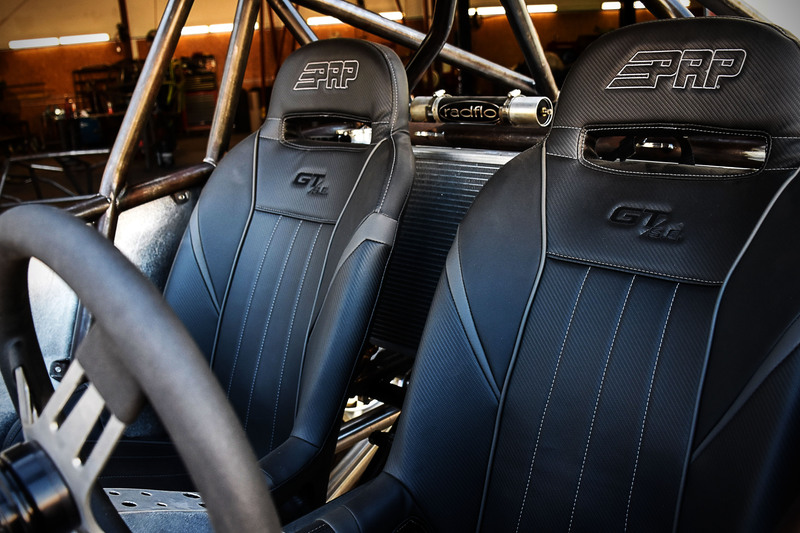 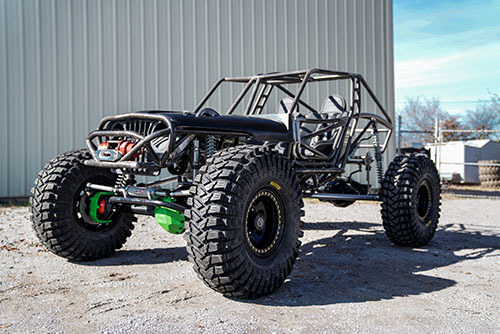 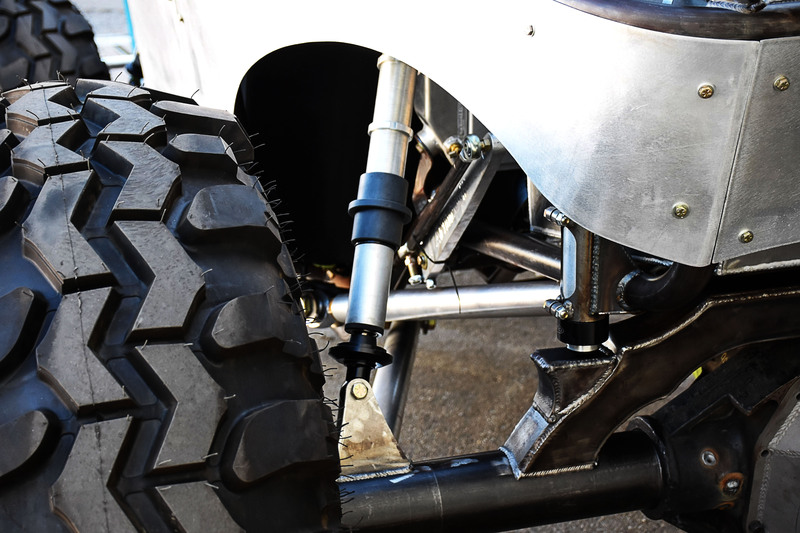 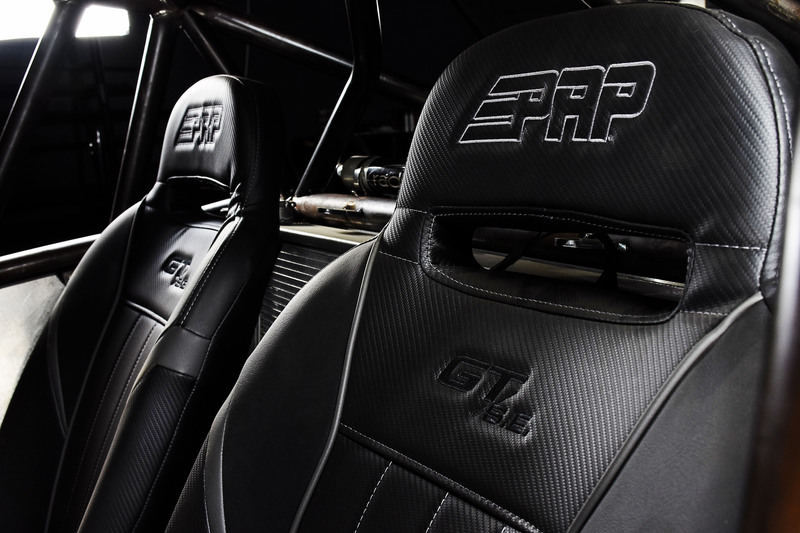 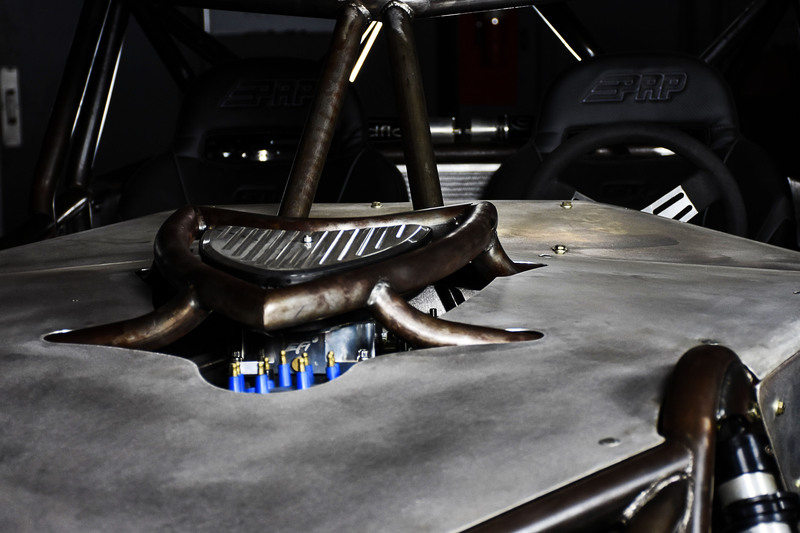 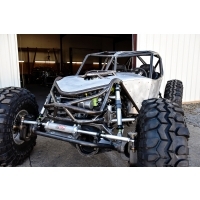 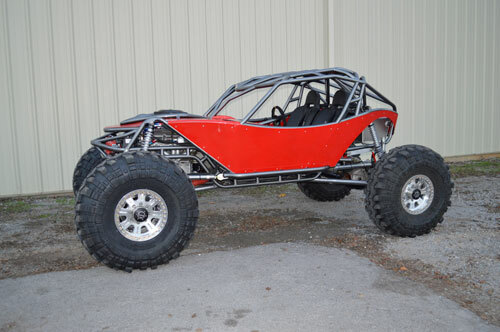 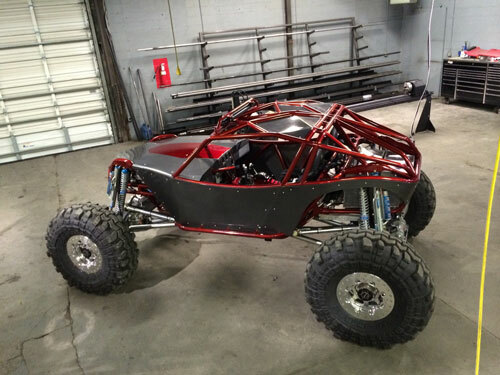 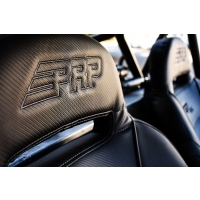 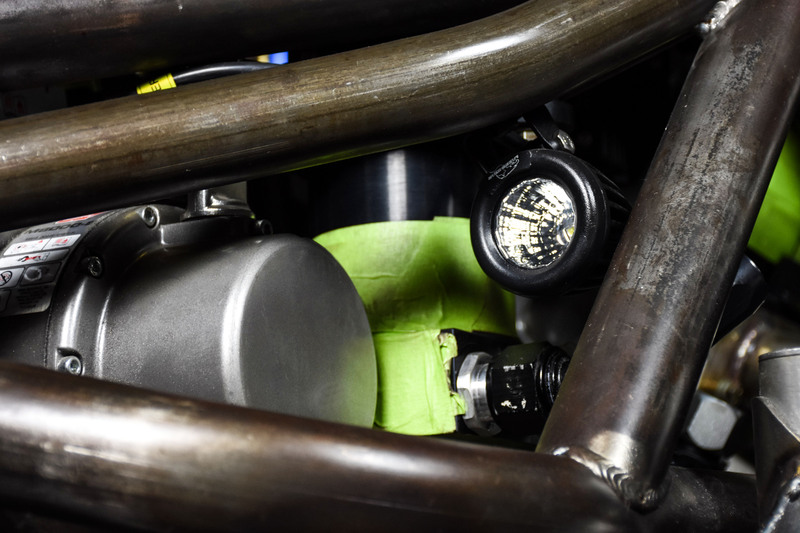 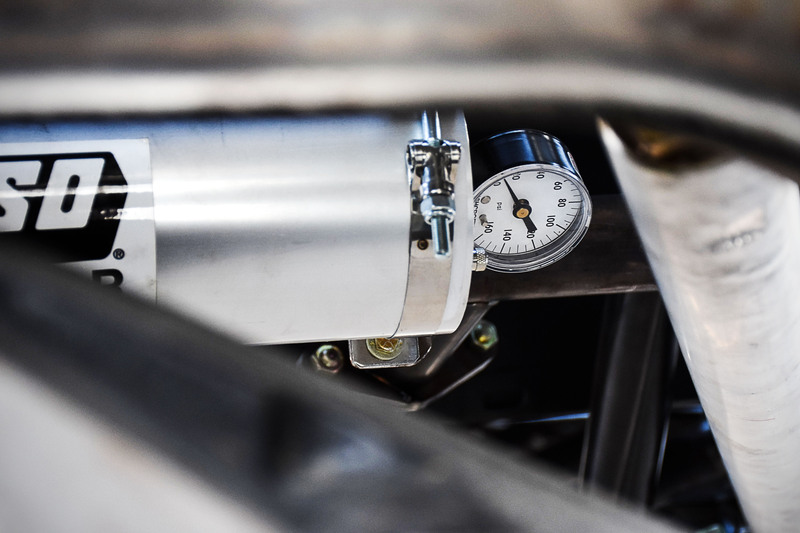 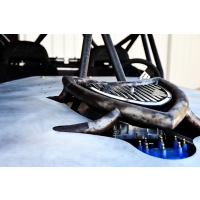 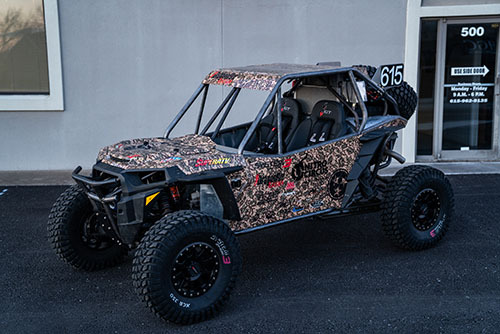 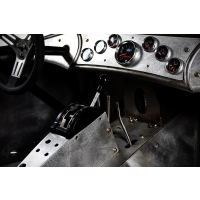 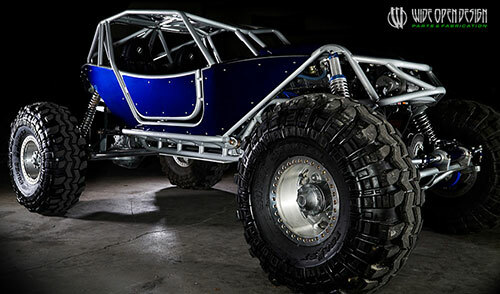 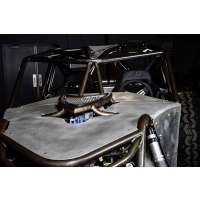 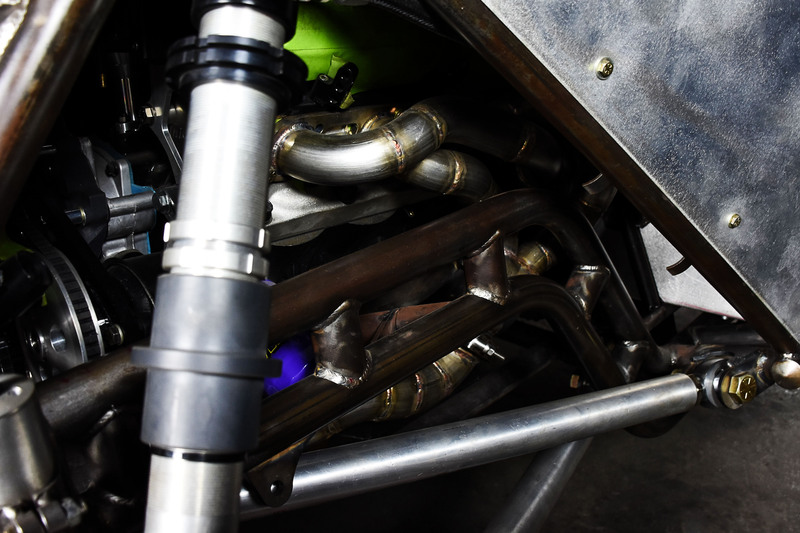 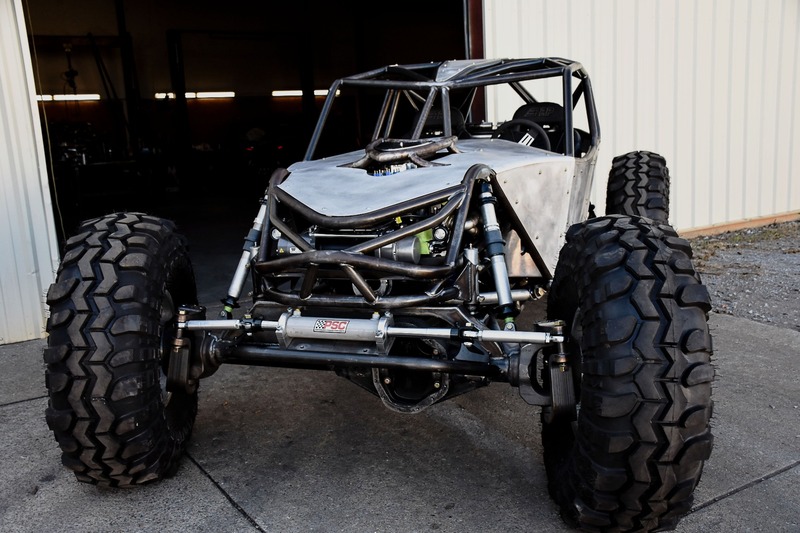 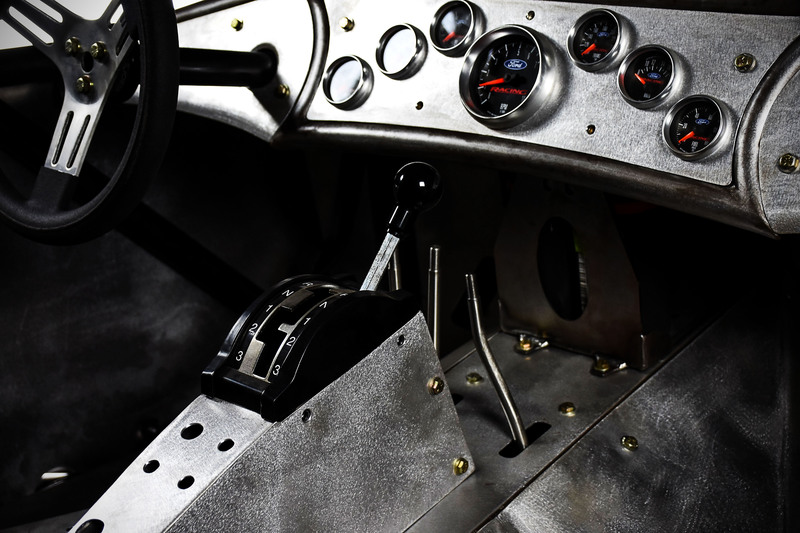 A lot of custom touches went into this buggy from the complete custom dash and console to the one-off engine cage. 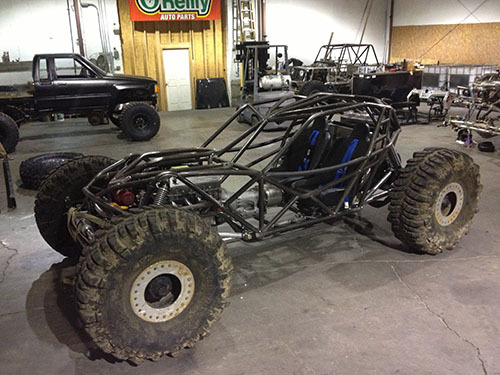 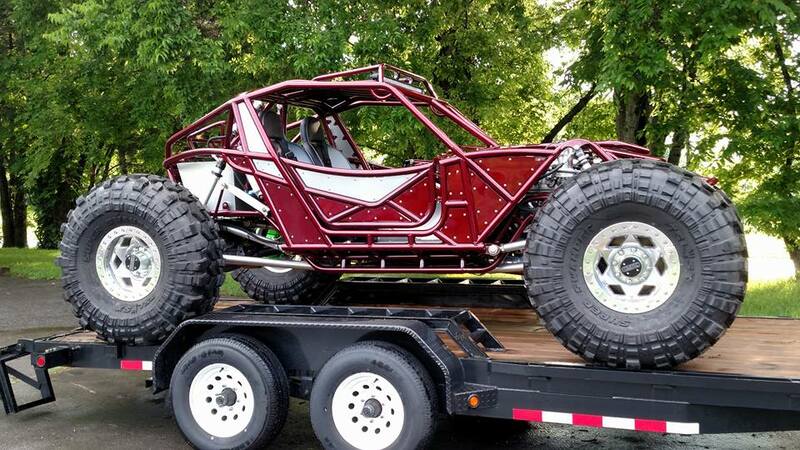 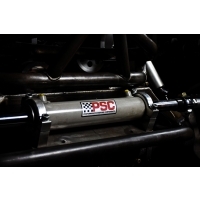 This buggy should turn heads where ever Mike shows up at.